The city of Siliguri has wielded great strategic significance in West Bengal due to its placement near state and international borders. Connecting three international borders namely, China, Bangladesh and Nepal, Siliguri is also joined to Sikkim and Kalimpong by road and Jalpaiguri and Darjeeling by an efficient railways network. Situated at the base of the eastern Himalayan ranges and watered by the river Mahananda, Siliguri appeals not only for its natural beauty but also as a significant trading, transportation and educational center. Over the past century, Siliguri has developed from a small agricultural village to a bustling and commercially prosperous city. The rise of Siliguri from the ancient period to its successful culmination as a trading center is an interesting tale. Siliguri as a city had been ruled by many great dynasties like the Cheras, Cholas and Pandyas and its immense strategic value realized post the Indian independence. Let us unravel the ancient and medieval history of this great city, which to a large extent still remains shrouded in mystery. Sailen Debnath, the eminent scholar on the Terai and Dooars region believes that the term “Siliguri” means a heap of pebbles or stones. The region had also been known as Shilchaguri till the nineteenth century when it was covered with dense Dolka forest ranges. Originally a small agricultural village, the Kingdom of Sikkim ruled over Siliguri till the influence of the Kingdom of Nepal into the region. The rule of Nepal brought settlements of Kirati and Nepali Lepcha people into this region. According to Debnath, the area presently covered by Siliguri was the southernmost fringe of the Sikkim Kingdom and belonged to the trans-Morang zone i.e. the meeting point of eastern and western Morang till the rise of the expanding power of Nepal. A river port in Phansideoa, to the south of Siliguri was influential in having trade relations with Malda and the rest of Bengal and Bihar. This river port near Siliguri was thus used by the Bhutanese and Sikkimese to go with their merchandise and established trading relations with the mainland. The present area of Siliguri is composed of the Mahananda river banks to Saktigarh, which was originally a small village in the southern region of the city. 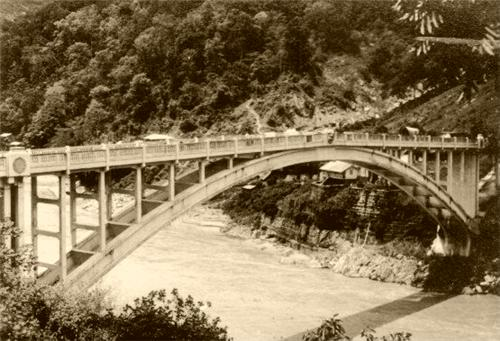 The Nepal-Britain Sagauli treaty made in 1816 changed the role of Siliguri as a transit point between the hilly areas of Darjeeling, Kurseong and Nepal. From its status as an agricultural village, Siliguri started developing as a small city from 1835 when the British had occupied Darjeeling, and then proceeded to occupy the entire Dooars region and Kalimpong by 1865. The introduction of the railways to north-eastern India by the British East India Company had enlarged the significance of Siliguri in the region. After Indian independence and its partition, Siliguri became an extremely important transit point and strategic area. It also led to the formation of the “Siliguri Corridor” in 1947 after Bengal was partitioned between India and Pakistan. This corridor was a narrow strip of land connecting north east India with its mainland. This also contributed to the increase in population in the city when many immigrants settled from East Pakistan (later Bangladesh). The population of Siliguri continues to increase to the present day with the rapid influx of immigrants from surrounding countries like Southern Bhutan, Nepal, Bangladesh and adjacent Indian states who cross borders for better economic as well as social opportunities. Thus the present city of Siliguri stands gloriously from its past status as a village, increasing in area and population ever since it was declared as a sub-division in 1907 by the British administration. It has been growing by leaps and bounds after the independence of India to evolve as one of the most prominent and large cities in North Eastern India. Where siliguri town is located it's in West Bengal or at Assam ?